In 1999, I worked on a show that was shot at Sony’s Culver Studios in Culver City, CA. I lived in Pasadena. It was a horrible drive. Traffic was awful. Driving home meant I had to go on US 10 freeway (the busiest freeway in the US) straight into downtown LA, then along the 110 Freeway to Pasadena, a narrow freeway that is generally completely gridlocked in the evenings. Making this drive every day was a harrowing experience. And that’s about it for me and harrowing experiences of survival. Most of the rest of my life has involved a large amount of sitting around at a desk, slouching on a sofa, or battling hippie grandmothers over organic kale at Monterey Market in North Berkeley. The first movie I ever saw in a movie theater (the now demolished but once-gorgeous Terrace Theatre in north Minneapolis) was Robinson Crusoe on Mars (1964). Man, that was a bad movie. This was back in the days when parents would just drop their 8 year-olds off at a movie theater and then tell them to walk home after the movie was over. In other words, several centuries ago. 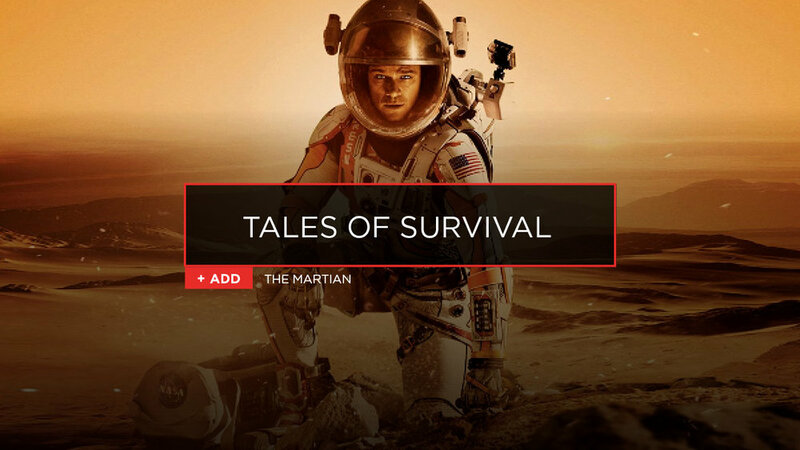 It was a great idea for a movie—an astronaut stranded on Mars: how will he get out of this one? What a fantastic adventure movie this is. Matt Damon is abandoned on the surface of Mars after his fellow crew members think he died while everyone’s out on the surface. They’ve all left the planet for good, but he’s alive. Now comes the problem of surviving on a desolate planet for weeks on end while concocting a plan to get back home to Earth. The screenplay by Drew Goddard is a masterwork of pacing and storytelling. Damon gives a career performance as a guy just trying to figure this one out. Nothing ever quite works, he keeps having setback after setback, and yet he keeps going forward. It’s real edge of the seat stuff here, and a very enjoyable evening’s worth of entertainment for everyone in your family. Remember back when James Franco wasn’t one of the most annoying people on the planet? Me neither. Regardless, this is an outstanding performance by Franco in this real-life story of a mountaineer who got trapped in an isolated Colorado canyon and has to figure his way home—a way that included cutting off his own arm. It took him 127 hours to get out of the jam. This is a wonderful film from Danny Boyle, who has one of the most diverse movie portfolios of any director I can think of (from Trainspotting (1996) to Slumdog Millionaire (2008)). It was rightly nominated for a bunch of Academy Awards (including Best Picture and Best Actor). Parts of it may not be great for the squeamish, but overall this is an inspiring tale of survival. You may not have thought about this one, but it’s a simply wonderful—and harrowing—Australian film about three adolescent girls escaping confinement in an Australian Native Settlement and walking 1,500 miles through the Outback along a rabbit-proof fence to get back to their hometown. It was directed by Phillip Noyce, whom you probably know for his action films such as Salt (2012), and a pair of Tom Clancy movies, Patriot Games (1992) and Clear and Present Danger (1994). Based on a true story, the young women in Rabbit-Proof Fence are pursued by white police officers and an Aboriginal tracker. It’s a gripping tale, very well-told and one you can, and should, watch with your kids. Andrew Stanton directed and co-wrote this animated classic from Pixar. Stanton also directed Finding Nemo (2003) and brought some of the visual panache of that film to this one. This is one of the most unusual major studio films you will ever see. The startling thing about this movie is that the first half has almost no dialogue. WALL-E is the last functioning robot on an abandoned Earth, and his task is to clean up the massive garbage dump that Earth has become. It is remarkably charming. He finds a seedling miraculously growing through the garbage and decides to keep it as a pet. The tiny plant not only brings promise that humans could once again think about inhabiting Earth, it connects him to the lovely droid Eve, who has been sent to find signs of life. It’s a breathtakingly beautiful movie, and one of my favorites from Pixar.